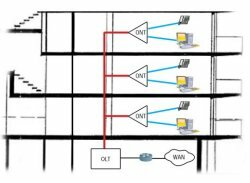 Gigabit Passive Optical Network (GPON) technology – or “fiber to desk” – is a proven technology… It’s an evolution on the “fiber to the home” solutions deployed in many neighborhoods, such as Verizon’s FIOS network. The potential of GPON fiber optic technology for cost reductions and more streamlined infrastructure makes it a valuable option for many businesses. 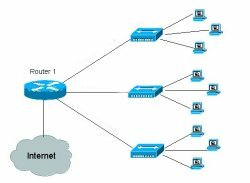 GPON is a point to multi-point optical network that supports all Internet Protocol (IP) devices installed throughout your building. GPON networks use Power over Ethernet (PoE), save on traditional cabling, and eliminate the need for workgroup switches in every IDF/Telco room. 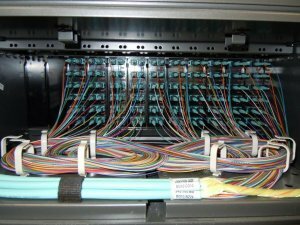 Replaces telephone, video, and data copper cabling with a single fiber optic infrastructure. Reduces deadweight in your building by replacing dense, heavy copper with very light fiber. Eliminates workgroup switches and the dedicated HVAC needed to cool those switches. Provides efficient use of bandwidth through the use of larger, variable-length packets, while providing higher quality of service (QoS) for delay-sensitive voice and video traffic. Our GPON Technology Experts have the knowledge, experience and partnerships to help ensure successful GPON deployments on a regional and national scale – on schedule and within budget.